24 June 1914: Entered Army service as a Fahnenjunker in Feld-Artillerie-Regiment König Karl (1. Württembergisches) Nr. 13. 2 August 1914: With the 2nd Battery of Field Artillery Regiment 13 in the field. 10 February 1915-10 March 1915: Detached to the Officer Training Course in Beverloo. 15 March 1915: Transferred to the 4th Battery of Field Artillery Regiment 13. 30 May 1916: Battalion Adjutant in the Inspectorate of Field Artillery Replacement Battalions in Ludwigsburg. 3 June 1916: With the I. Battalion of Reserve Field Artillery Regiment 27 in the field. 10 June 1916: Transferred to the regimental staff of Reserve Field Artillery Regiment 27. 26 February 1917: Adjutant of the I. Battalion of Reserve Field Artillery Regiment 27. 7 June 1918: Regimental Adjutant of Reserve Field Artillery Regiment 27. 1 January 1919: Transferred to the II. Battalion of Field Artillery Regiment 13. 11 March 1919: Adjutant of the Field Artillery Battalion of the 1st Minenwerfer [Trench Mortar]-Regiment. 20 July 1919: Regimental Adjutant of Reichswehr Artillery Regiment 13. 28 September 1920: Adjutant of the I. Battalion of Reichswehr Artillery Regiment 13. 1 January 1921: Adjutant of the III. Battalion of Artillery Regiment 5. 23 September 1921: Transferred to the 9th Battery of Artillery Regiment 5. 1 October 1921: Detached to Leader Assistant training with the staff of the 5th Division. 1 October 1922: Transferred back to Artillery Regiment 5. 1 October 1923: Detached to Leader Assistant training with the staff of Wehrkreis [Military District] Command V, Stuttgart. 27 May 1926-7 July 1926: Detached to the Artillery Firing Course in Königsbrück. 1 October 1927: Transferred to the Reich Defense Ministry. 1 June 1928-30 June 1928: Detached to the 3rd Cavalry Division. 2 August 1928-25 August 1928: Detached to the 7th Signals Battalion. 27 August 1928-30 September 1928: Detached to Cavalry Regiment 5. 1 October 1928: Transferred to Artillery Regiment 5 and, at the same time, detached to the Reich Defense Ministry/Army Department (T1), carried the Uniform of a Leadership Staff Officer. 1 April 1930: Transferred to the Reich Defense Ministry/Army Department (T1). 1 April 1932: Chief of the 4th Battery of Artillery Regiment 5. 28 September 1932-28 October 1932: Detached to the Firing Course for Artillery Officers in Jüterbog. 1 July 1933: Detached as an Instructor at the Infantry School. 1 September 1934: Officer for Special Employment to the Chief of the Army Command, detached as an Instructor at the secret War Academy. 1 May 1935: Instructor at the War Academy. 10 March 1937: Transferred into the General Staff of the Army. 10 November 1938: Operations Officer (Ia) in the General Staff of the XVI Army Corps (Motorized). 15 February 1940: Department Chief in the General Staff of the Army. 15 May 1942: Führer Reserve in the Army High Command. 22 June 1942: Detached to the Panzer Troop School and to the School for Motorized Troops in Krampnitz. 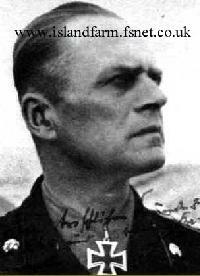 1 July 1942: Commander of the 14th Panzer Division in Russia. April 1943: Released from imprisonment into a hospital. July 1943: Hitler reversed his decision to expel Heim from the Army and he was allowed to retire instead. 16 August 1943: Retired from the Army. 1 August 1944: Again, reactivated in the Army. Canadian soldiers examine one of the 12-inch (305mm) guns of Battery "Friedrich August" after its capture in September 1944. 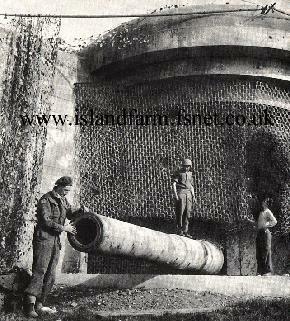 Located near the town of La Tresorerie north of Boulogne, this battery consisted of three 12-inch guns mounted in concrete casemates manned by Naval Artillery Battalion 240. 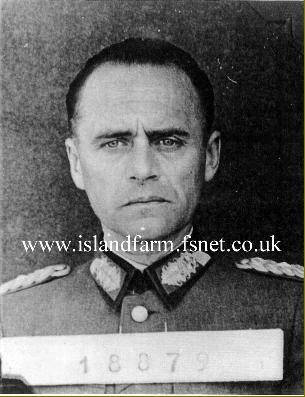 23 September 1944 - May 1948: Prisoner of war in British captivity. 28 September 1944 transferred to Trent Park Camp 11 sorting camp. 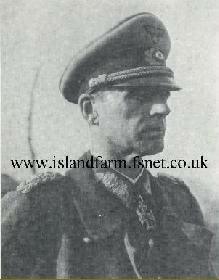 Knight's Cross of the Iron Cross: 30 August 1942, Generalmajor, Commander of the 14th Panzer Division in Russia. German Cross in Gold: 26 January 1942, Oberst i.G., Chief of the General Staff of the 6th Army in Russia.